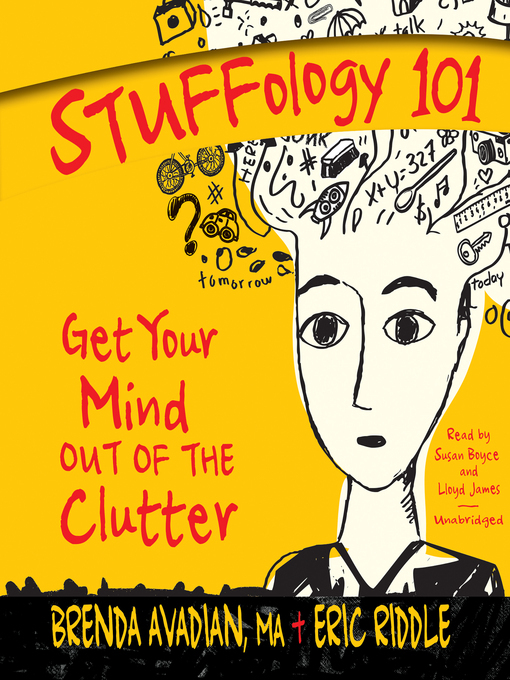 Stuffology 101 is for those of us who want to get the clutter out of our lives without being featured on reality TV. We can still use our bathroom, bedroom, and kitchen, but we harbor secrets. Do you race around to pick up piles when someone's at the door? Do you close the door to hide your stuff in the spare room? Do you still have boxes to unpack from your last move a dozen years ago? Are you unable to focus because your mind is so frazzled? Stuffologists Brenda Avadian and Eric Riddle share four decades of experience dealing with stuff—or rather, clutter. Inside Stuffology 101, you'll find fun and flexible approaches to get your mind out of what you define as clutter. Funny, serious, and humbling stories are woven in with tips to help you clear the toxic clutter out of your life. At the end of your life, what will matter most—things or people? Are you ready to manage the stuff in your life? Need a card? Sign up for one using your mobile number.